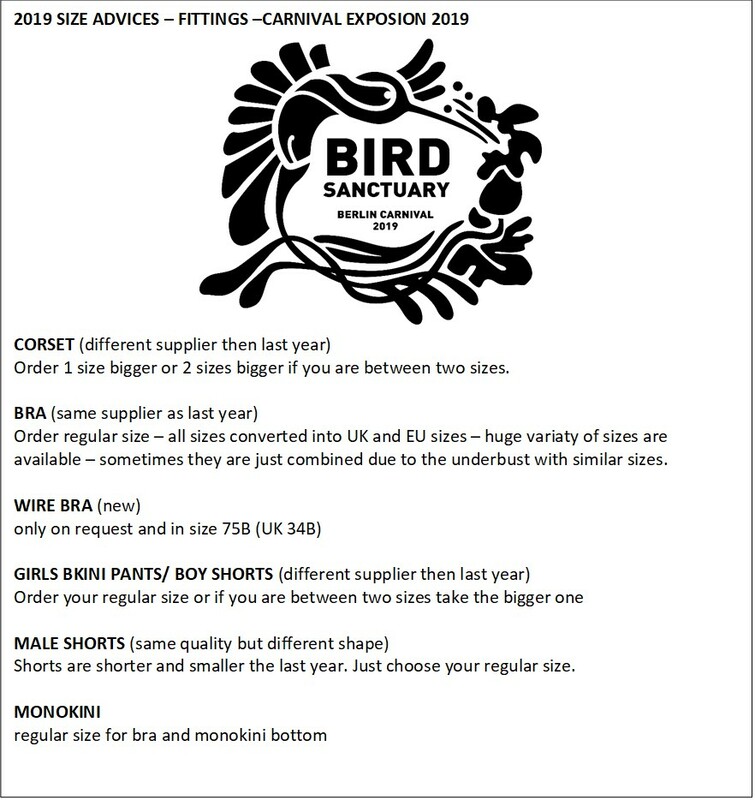 EARLY BIRD PRICE TILL SUNDAY 20TH JANUARY 2019- ALL COSTUMES ARE LIMITED! ONE PRICE AND YOU CAN JOIN TWO CARNIVALS- BERLIN AND BIELEFELD WITH CARNIVAL EXPLOSION! 10 pieces: elaborate FRONTLINE big headpiece, beautiful decorated shield, full-decorated belt, 2x armpieces and 2x legpieces with rhinestones (fabric base, proper sewed), high quality board shorts, CARNIVAL EXPLOSION signature string back pack, CARNIVAL EXPLOSION reusable drinking cup with lid.